Chickens for Africa - Results are in! Recently, Bill Gates said he wants to give away 100,000 chickens to poor countries. I can only repeat what someone has already said: "You can't fault the sentiment". 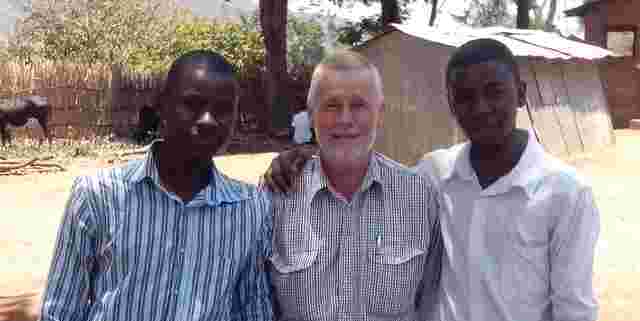 Which brings me to one of my stock stories for audiences interested in assisting village poultry owners in Malawi. Imagine two villages, each about the same size and each with a population of about 500 chickens. In one, you decide to help by donating a further 300 chickens, nice healthy chickens, and you manage to avoid all the practical pitfalls which so often dog such enterprises. In the other, you donate no chickens at all. All you do is train a couple of people in how to vaccinate chickens against Newcastle disease. You don't give them anything much, just training and guidance. You simply set them up with the wherewithal to obtain the vaccine, to use it properly, to charge a fee so that they can buy more vaccine and put a bit in their pocket, and to continue their job after you've gone. That's all. You've already guessed it and you are correct. We would have seen smiles, clapping and dancing at the first village. Great for publicity but not necessarily a reflection of substantial progress. 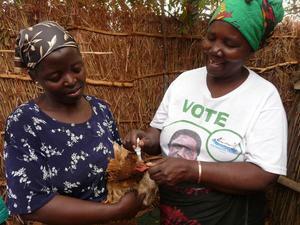 And we certainly need progress - the vast majority of village chickens in Malawi are not vaccinated. In our work in Ntchisi, we've just found that the losses from Newcastle disease are immense. We've confirmed something we've always said: Newcastle disease is the biggest single cause of death in village chickens in this part of the world. We found that households which had not vaccinated had lost about five times as many chickens to Newcastle disease as those which had vaccinated. Next on the list was losses through predation which are particularly important for young chicks. This was all part of a small survey we did towards the end of the project, too small to hang my hat on, but of course I'm delighted that these results have generally supported what we intuitively thought was the way to go. So we'll concentrate more on these issues and with luck soon have an impact approaching that of the Bill Gates initiative. 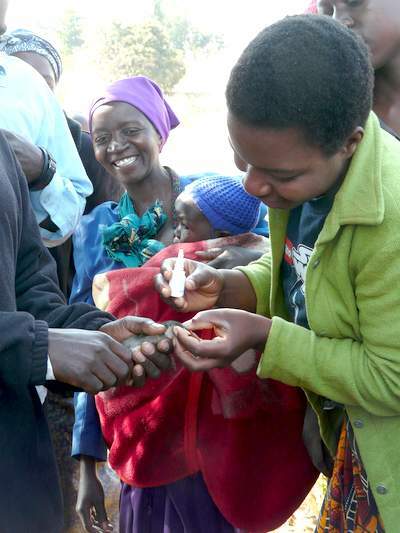 We've vaccinated over 60,000 chickens in Ntchisi so far and that certainly represents many thousands of chickens saved. So now just thank your lucky stars I was not born a used car salesman. I'll try to be a bit more timely with the next news item.